Sept. 24, 2018 (Courtesy of Narcity.com) – Our cell phones go off daily with calls from telemarketers and scammers. How many times have you “won a free cruise” or been asked to buy products over the phone? Too many to count, right? We’re sick of it. Thanks to an investigation by CBC Marketplace, we might finally be getting to the bottom of one of the biggest scams targeting Canadians, the CRA cyberscam. The investigation team went all the way to Mumbai, India to track down the operation that has stolen over $10 million from Canadians. You’re probably living under a rock if you haven’t had a phone call from these scammers. These scammers have been known to threaten people with loss of employment, seizure of assets and even the removal of their kids if they don’t pay bogus amounts. While most people hang up on these phone calls, there have been some who have fallen for it. Victims have been known to pay anywhere from $700 to over $100,000. 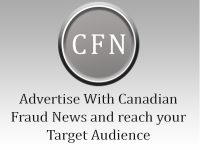 The scam usually succeeds with the most venerable Canadians, the elderly and new immigrants. CBC investigators traced some of these phone calls to a seedy Mumbai neighbourhood. When they confronted the scammers, a group of men who are believed to be armed, they took off into the streets. The team did, however, uncover some information. The people pulling off these scams are usually in their 20s with impeccable English-language skills and understanding of Western countries. The more these people steal from victims, the more they take home. Despite complaints by 60,000 people, Canadian police aren’t doing much to help, according to Indian authorities who are prepared crack down on the operation. They claim they’ve never even been contacted by authorities in Canada. While the RCMP haven’t exactly answered how they plan to stop these scams overseas, the federal policing agency says the best way to avoid being scammed is to be aware. The real CRA has warned Canadians that they do not ever leave personal information on voicemails or use aggressive language. If you get one of these scam calls, hang up. If you’re in doubt, call the real CRA at 1-800-959-8281.